Access Management Group continues to enjoy the confidence and reliability of offering an unprecedented level of service to its clients. This is why so many homeowner associations and condominium associations turn to us for expert leadership and superior maintenance of their associations. We are trusted by over 200 associations to guide them through the task of administrating and maintaining their associations to ensure compliance and live a worry-free lifestyle. 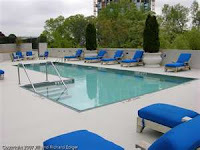 Our reputation as Atlanta’s leading property management firm allows us continued growth and we are pleased to welcome abroad a select group of properties. 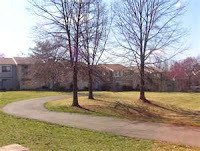 Crosswinds, which is a 37 single-family home development located in Marietta. Overlook is a distinct community of 4,000 plus square foot single-family houses in a luxury development of high-quality homes. North Brooke is a collection of 83 high-end homes featuring over 3,000 square foot of living space. 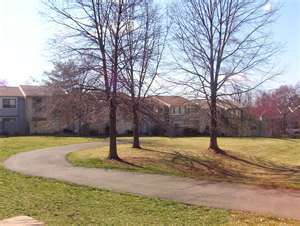 Sycamore Glen houses 63 quality-built homes nestled in lovely surroundings. 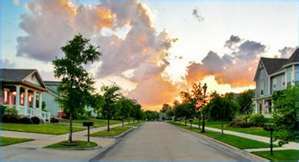 Crosswinds is the newest community by builder D.R. Horton, featuring 37 single-family homes. Heritage Pointe is comprised of 66 homes within the community of Gainesville with additional phases pending in Wells Fargo. 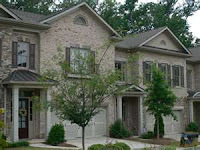 Our largest new development is Barrett Greene, a 295 single-family home development in Kennesaw. Barrett Greene had been a former client of ours until 2009. They left to explore other options, but they returned to us after a short break after realizing the comprehensive set of services we provide. Our newest condominium association is West Paces Condo, a 62-unit complex in Atlanta and Slaton Manor, a large 152-unit in Buckhead. Access Management Group stands at the ready to assist homeowner and condominium associations with the daily management and oversight to assure the upholding of bylaws and covenants and promote a harmonious community. Call us today at 770.777.6890 to see how we can put in place a comprehensive management plan to endorse your community, develop your reputation, and increase your profile to attract quality homeowners who expect nothing short of excellence. The fear of crime is very real. The thought of a home invasion or burglary is enough to send a shiver up any homeowner’s spine. 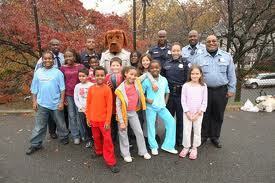 Protecting your neighborhood and your family is a top priority and must be addressed. There are many factors to consider in safeguarding your property and strategically placing yourself to be prepared for any occurrence has you ahead of the game. Banding together with your neighbors to provide a united front gives you the upper hand and takes the control away from the criminals. Utilizing every tool at your disposal will increase your chances of protecting your property from crime. A professional property management firm can maximize those tools and empower your community. While it is true that Atlanta and our surrounding communities have seen a decrease in crimes across the board, we are still ranked as the 25th most dangerous city to live in according to the Congressional Quarterly Press in 2010. These are scary stats. Our rate of property crimes stood at 30,800 incidents and our violent crime index stood at 5,749 instances for the year ending 2010. These are real numbers and any advantage we can gain in protecting our homes and family will go along way. 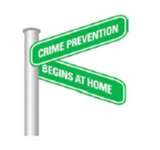 There are many ways to help protect your property and decrease your chances of being a crime victim. Residential crime is just a small slice of the overall picture. Taking the first step to preserve your neighborhood and deter crime will increase your likelihood of not falling victim to property theft. The advantages of having a professional property management firm are two-fold. Not only do they protect your associations’ best financial interests, they can also polarize and mobilize your neighbors into action. A proactive property management firm can organize and offer the guidance in community safety. 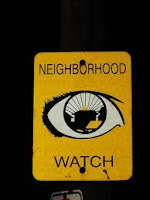 Neighborhood Watch Organizations: A professional property management firm can guide your homeowners or condominium association in ways to develop an active community watch group. Gate-Guarded Communities: Communities that have the ability to enclose their neighborhoods and install gates can benefit from a reduction in drive-thru and walking traffic. Criminal elements often avoid gated communities. Landscaping: Overgrown hedges and unmaintained trees and yards give criminals a place to hide. Trim back shrubbery from your windows and doorways. The same is true on parkways and alleys. Criminals can be lurking and hiding in overgrown areas, just waiting for the opportunity to spring into action. Camera Systems: If your community is lucky enough to have security cameras installed, consider updating your system to include a long-term disc or tape. Frequently, discs or tapes are on a 24 hour loop and a homeowner does not discover a theft until they return from a vacation two weeks later. Be the last defense against community crime. Call Access Management Group at 770.777.6890 and see how we can give your association the tools to fight crime and preserve your neighborhood. Have you ever yearned for an All-American apple pie type neighborhood where residents wave as you drive by and bake cookies to welcome the newcomers? This does not have to be a fantasy. We can develop and build strong relationships with our neighbors and, in doing so, we will strengthen our ties to the community, improve our neighborhoods, and increase our property values. Communication: Start by making an effort to introduce yourself and meet your neighbors. Ask for their email address and begin a monthly newsletter to keep residents informed of different activities or occurrences within the community. You can also include a suggestions area in the newsletter to encourage residents to engage and exchange ideas and concerns. 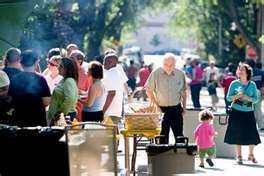 Let’s have a party: One of the easiest ways to meet and mingle is by hosting a block party. This can be a casual get-together to meet, mingle, and build deeper bonds. 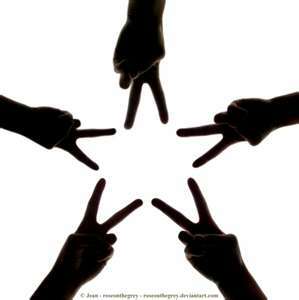 Real friendships can be established and nurtured by regular contact. A group of neighbors can rotate on a monthly basis so one neighbor is not carrying the load. Include fun kid activities like relay races and splash pools for hot summer days. You can also have themed parties for Halloween, Fourth of July, and Easter to make your parties fun and interesting. This also provides a safe environment for kids and their parents to enjoy these types of holidays. Come over for a chat: If your neighborhood is blessed with front porches, invite a neighbor over for a friendly chat in some comfortable rocking chairs. This impromptu get-together, complete with sweet tea and treats, can be a weekly ritual within your neighborhood. Invite different neighbors over for a casual chat. 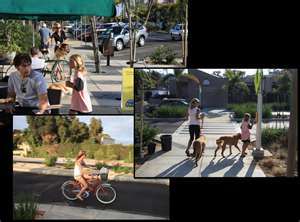 Being out front encourages neighbors to interact and socialize and this is your goal. Community Time: If your neighborhood is lucky enough to have a community recreation center, consider hosting a movie screening during the warm summer months. Kid-friendly movies will encourage young families to come out and socialize. These fun parties can serve as introductions to new residents and be a catalyst for residents to build stronger communities. The investment of time and care will serve your community well. 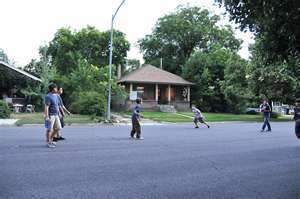 Neighborhoods will reap the benefits of shared interests and concern, and they will serve as a role model for other communities that are looking for a way to develop friendly and inviting neighborhoods. One of the worst problems that can plague a Neighborhood Watch program is complacency. Residents become used to a safe neighborhood and begin to ignore threats to their community. Oftentimes, a specific crime or incident is what led to the formation of a crime watch program and once that threat is removed, people have tendency to slip back into their previous routines. Do not let this happen to your community. There are many ways to keep the interests of your fellow residents and prevent them from sliding back into complacency. 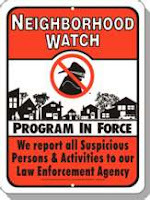 Now that you have formed a Neighborhood Watch program, it is imperative to continue your efforts and be vigilant about sustaining interest in the group’s activities. By branching out and expanding the role of neighbors in the community, you can increase your chances of being an active crime watch group and protecting your neighborhood from crime. 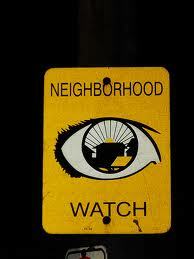 Increase your Neighborhood Watch profile by engaging your area residents. Here are some tips to develop a more comprehensive program within your community. Area Specific: Instead of having one large Neighborhood Watch program for your community, break up into smaller groups for more effective management. You can form specific street groups to provide more hands-on control of crime and community interest. Also, this allows for the sub-groups to make easy contact with any new homeowners who move into the area and they can be responsible for inviting them into the Neighborhood Watch program. Community Projects: Expand your Neighborhood Watch program to include activities that will unite and engage residents. Other crime watch programs have had success with food drive programs for the homeless, collecting toys and clothes for underprivileged children at Christmas, and sponsoring the local group home by providing toiletry items. Diversification is key! Having other outlets to unite residents creates a strong common bond and can lead to improved communication and more importantly, to a successful Neighborhood Watch program. Disaster Preparedness Programs: Another possible avenue to facilitate unity and promote communication between neighbors is organizing a community disaster preparedness program. Crime watch and disaster preparedness go hand-in-hand. 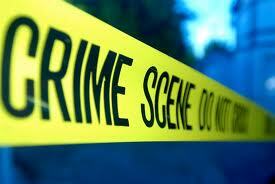 The training you receive from crime watch programs are similar to what is needed for disaster preparedness. Neighborhood Watch volunteers will know where the elderly and handicapped residents live should there be a disaster and what actions should be taken in an emergency situation. Thank You Very Much: A kind word, thoughtful gesture, and personal recognition go a long way in motivating and encouraging residents. Plan an annual or bi-annual event to recognize residents who have contributed to maintaining a great neighborhood. Also, you can pick up a small gift card to say thanks. Taking charge and determining your course of action is the first step toward enjoying a better neighborhood. The choices you make within your local area can impact positively upon your neighbors and other areas that can see how your efforts make a difference!